Learn to build beautiful, functional boxes from award winning box maker Donald R. Boudreau www.boxesbyboudreau.com. 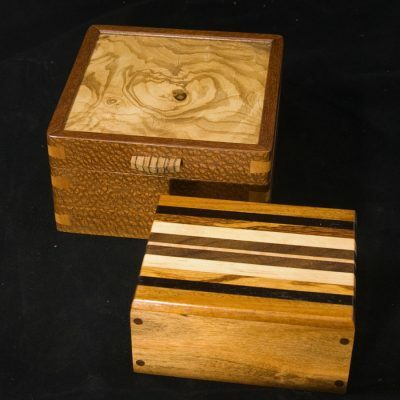 You will be guided step by step through the process to build 2 beautiful boxes which are yours to keep. 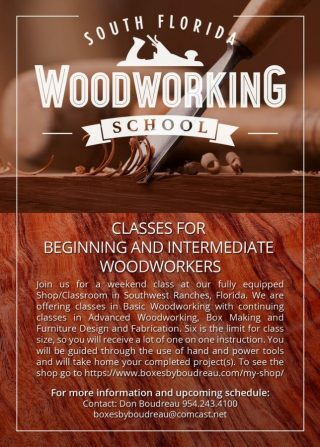 Student must have completed the Introduction to Woodworking course or demonstrated proficiency in the use of power tools. Why Boxes? As George Carlin said, ” We need some place to put our stuff”. Shop safety: Review on how to protect your lungs, eyes, ears and fingers. 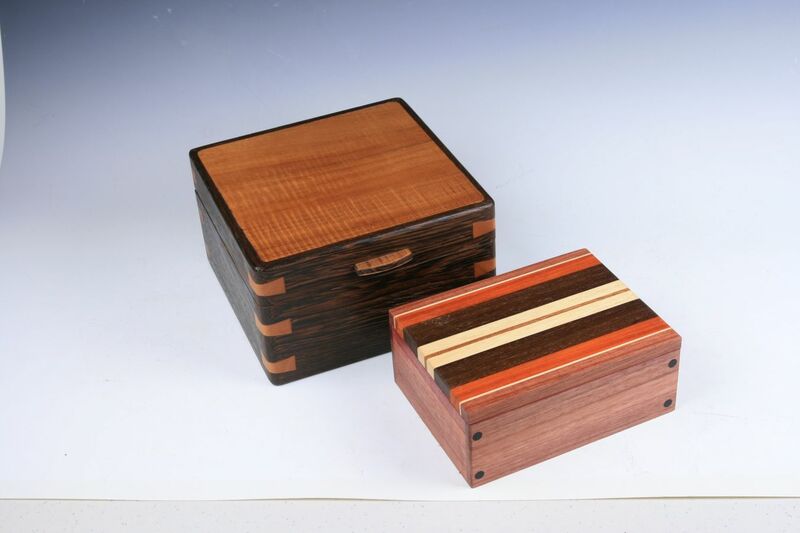 Box making: Form versus function. The golden ratio. 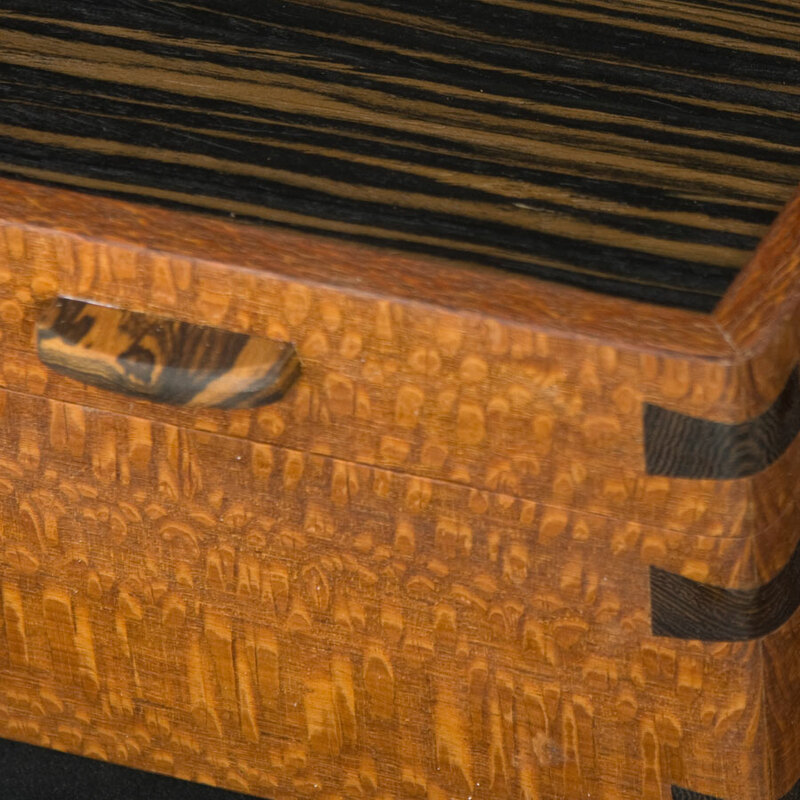 Anatomy of a box: Discussion on types of box construction with samples of typical joinery. Types of hinges used in box making. Box #1 We will select a blank and cut rabbets for the corners and a dado for the bottom. After installing the bottom we will glue up the box carcass and clamp with rubber bands. Building the top. 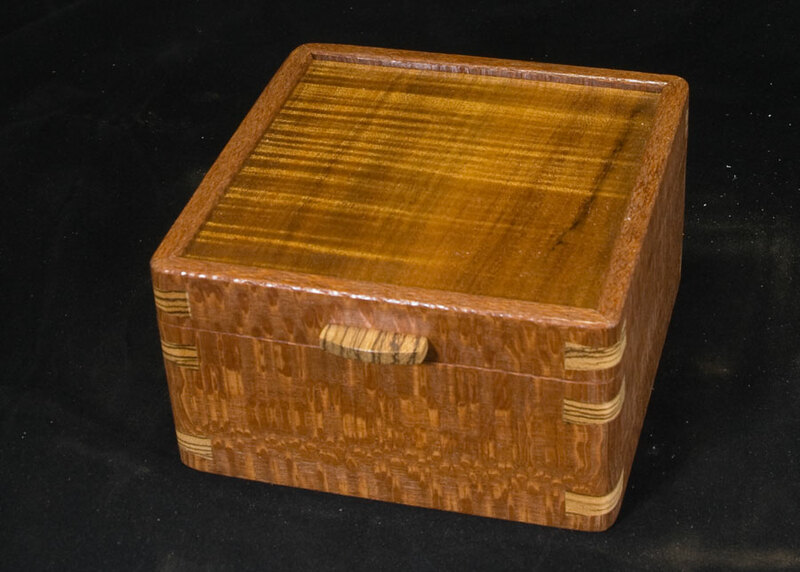 : Designing a top to complement your box. 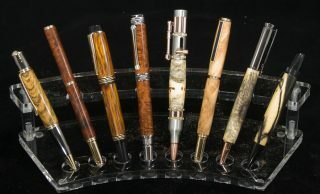 Veneering, inlays or other options. Installing dowels: Providing the glue has dried, we will dril holes to install dowel pegs through the rabbeted corners. Optional Lining: How fit and install a cloth lining to your box. Cutting stock for box #2: We will use chalk to mark each piece to maintain the figure match. Discussion of the Dovetail Spline. on our second project we will be using the Dovetail spline joint. Cut the dovetail joints flush and sand smooth. Cut box apart on an 19″ band saw. Chamfer back 45deg on the router table to create a stop.